Product prices and availability are accurate as of 2019-04-24 02:14:50 UTC and are subject to change. Any price and availability information displayed on http://www.amazon.co.uk/ at the time of purchase will apply to the purchase of this product. 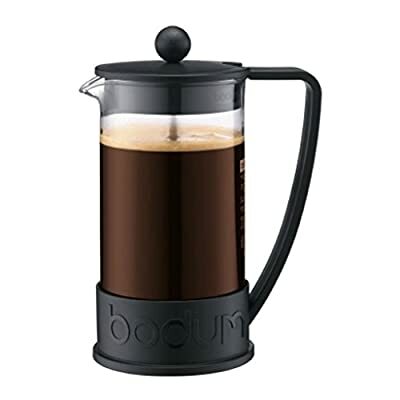 This Brazil Coffee Maker is made from heat resistant ultra-light borosilicate. Dishwasher safe. It is available in various colours and sizes. 3 cups: It holds up to 0.35l/12oz of coffee and is made from heat resistant ultra-light borosilicate. It has a base diameter of 7.9cm/3.1cm and an overall height of 16cm/6.3in. 8 cups: it holds up to 8 cups/1.0l of coffee and is made from heat resistant ultra-light borosilicate. It has a base diameter of 10.6cm/4.2cm and an overall height of 21.5cm/8.5in. This Brazil Coffee Maker is made from heat resistant ultra-light borosilicate. Dishwasher safe.